It’s call-up season for the Cincinnati Reds, and every of the call-ups you’ll see has passed through Triple-A Louisville this season, which means Delino DeShields has been their manager. I talked to DeShields and got his thoughts on a few of the big names. From my own observations, I would say there is a reason that people are talking about Renda. He seems to have opened a lot of eyes. His size makes him easy to underestimate, but he has already earned a reputation in Louisville as one of the hardest working and most prepared players on the team, and his numbers back him up. Winker, as a hitter, has been ready all year, but his defense has gotten much better. He has a solid arm as well. He’s never going to win a gold glove, but he isn’t frighteningly bad in the outfield right now. 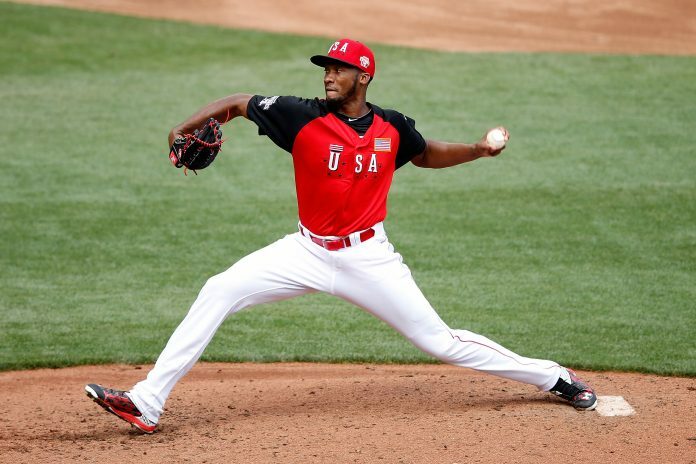 Amir Garrett is, for my money, the best pitching prospect in the system now. He works and he adjusts and his results have been better than either Reed or Stephenson have gotten. Watch him closely.